AFSA's national committee members were saddened to hear of the rejection of The Uluru Statement from the Heart, and as such, have released the following response. We believe the rejection of the report's findings is a step backwards for reconciliation with the Traditional Owners of this country. As Bruce Pascoe recently reminded us at the Food Sovereignty Convergence, conciliation will take time - people will get hurt, and it will be hard...but it is necessary. We reckon this would have been a pretty good start. The Australian Food Sovereignty Alliance (AFSA) urges the Prime Minister to reconsider his response to the findings of the Final Report of the Joint Select Committee on Constitutional Recognition of Aboriginal and Torres Strait Islanders Peoples. 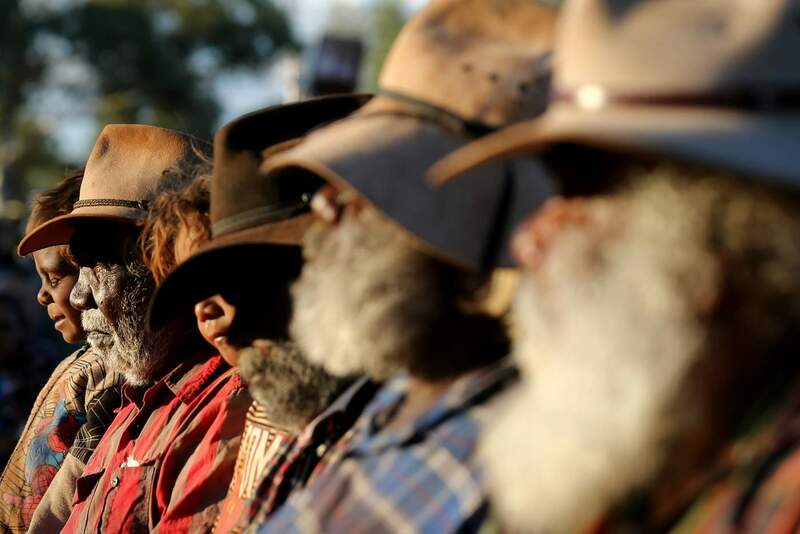 The Uluru Statement from the Heart proposed the inclusion of Australia’s Traditional Owners’ voices via an Indigenous advisory body in parliament. This body proposes to offer non-binding advice on relevant matters. The outright rejection of this modest proposal is a step backwards for reconciliation, and disrespects both the people, and the process, which entailed a long period of consultation and collaboration among a broad cross-section of Indigenous Australian communities. Top down approaches have failed to reverse the disadvantage of Indigenous Australians. National representation and self-determination are essential steps in moving beyond the gross injustices of the past. As stewards of the land, our farmer members are endeavouring to work with the original owners of this country to create a more socially equitable and ecologically sustainable nation, and a truly food sovereign future. Through AFSA’s ongoing engagement with the international organisation, La Via Campesina, we stand in strong solidarity with the global movement for recognition and inclusion of indigenous and First Nation Peoples everywhere, without whom there can be no true food sovereignty. We support the United Nations Declaration on the Rights of Indigenous Peoples recognising “the urgent need to respect and promote the rights of indigenous peoples affirmed in treaties, agreements and other constructive arrangements with States”. AFSA wishes to remind the parliament of the encouragement in the Declaration that “States comply with and effectively implement all their obligations as they apply to indigenous peoples under international instruments, in particular those related to human rights, in consultation and cooperation with the peoples concerned”. We therefore implore the parliament to revisit its decision, and to begin implementation of the recommendations of this historic report and statement.